What a great month! 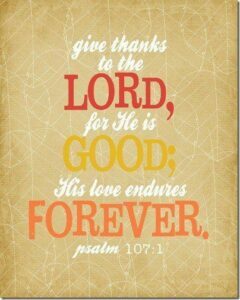 November is a time to look back over the past year and remember all the incredible blessings that have been given to us, and to thank our God and the people responsible for those blessings. We first opened Chrysalis’s doors 15 years ago, and it’s not always been easy. I remember our struggle in the early days just to keep the lights and water turned on. But God has been faithful to provide all our needs, and he’s done this through our donors and volunteers. You’ve been there for us, praying, giving, and serving, to ensure that when a woman walks in our door crying and saying she’s deeply broken, and needs a second chance, someone is here to accept her with open arms, and give her hope. You’ve provided warm loving homes where women can find rest and experience restoration. As part of a community, sis-ters in recovery, they are building friendships, and receiving support and encouragement. Chrysalis hosts an annual Thanksgiving dinner on the Wednesday night before Thanksgiving. Our W.I.N.G.S. volunteer network provides all the amazing food. Plus, they set up and clean up, as a gift of love for our residents. After an exceptional meal, our ladies share what God has done in their lives over the last year. One by one they stand and give praise to God for re-uniting them with children they haven’t seen in years, for months of staying clean and sober, for giving them jobs and promotions, and for healing their hearts. This time of testimony to God’s grace is the best part of the evening. Everyone leaves filled to the brim with praise to our amazing God, which is even better than dessert. The beautifully decorated Grove Hotel buzzed with excitement as guests arrived for our 2015 Chrysalis Celebration. We were honored to have Brandi Swindell, Founder and CEO of Stanton Health Care, as our special speaker. Engaging and passionate she shared how God restores lives, and encouraged our graduates to courageously embrace their faith. 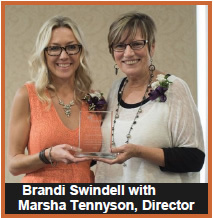 Brandi was our “Women Helping Women” award recipient for her outstanding work for the betterment of women. 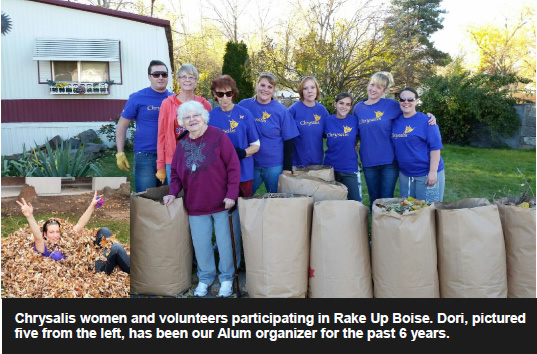 Other awards were presented for exceptional volunteer service and generosity in giving. And then came the main event, presentation of our Life Style Changes graduates. 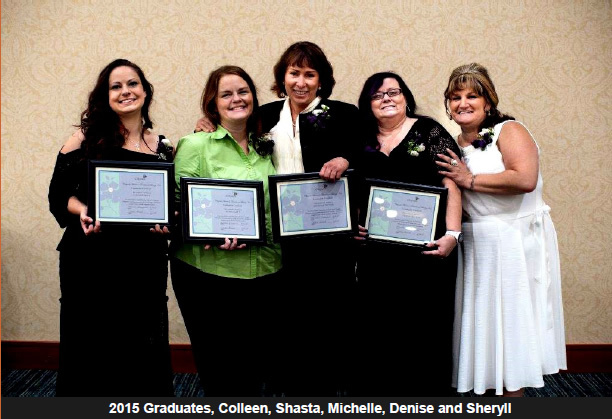 Women who’ve allowed God to “cocoon” them at Chrysalis and transform their lives, walked across the stage one by one. As they came, arm in arm with their escorts, to receive their completion certificates, each woman beamed with the realization she’d just received her wings. God had taken her past; it no longer defined her. His original design was restored in her life and she was free to fly into a future designed by him. She is a butterfly!